Playing dress-up takes on new meaning when your mom is Madonna. 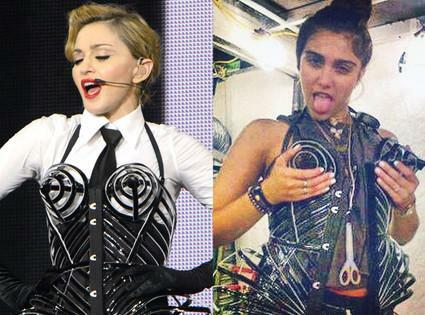 Her eldest child Lourdes Leon, 15, had some fun backstage at mom's MDNA tour wearing the Material Girl's cone bra! Lourdes and Madonna's Material Girl clothing line tweeted a photo of "Lola backstage at MDNA!" Wednesday. While Lourdes is well on her way toward adulthood, and the above photo is harmless, the singer has expressed concerned that she's growing up too fast. Lola was recently seen in some revealing bikini photos, and more scandalously, was also caught puffing on a cigarette in the streets of New York City. "Cigarette smoking I'm not very fond of, for anyone. 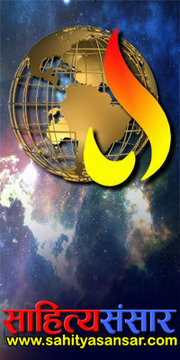 I don't approve of anyone smoking cigarettes, most of all my daughter," Madonna told NBC. What do you think of the cone bra pic? Too much?